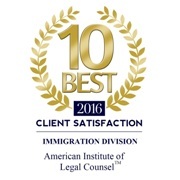 At the Law Office of Todd Becraft, our experts in the law are considered top immigration lawyers in California. If you need to speak with an attorney regarding your legal status in the US, give us a call. We’re proud to offer a range of services designed to meet the needs of our clients. We recognize that every case is unique and we strive to provide individualized attention to each client. If you’re online searching for an ‘immigration lawyer near me’, consider the Law Office of Todd Becraft. Our attorneys and legal assistants are committed to providing exceptional legal advice and representation for our clients. You’ll find a complete list of services we provide by visiting our website. If you have questions, feel free to give our firm a call. Los Angeles immigration law is complex and difficult to self-navigate. If you need an immigration attorney, make a call to the Law office of Todd Becraft. See us online for success stories, testimonials, an informative blog library and a list of services we proudly provide to the community. If you need to speak with a lawyer, give us a call.